zume was founded on the belief that Everyone has the right to a healthy meal they can afford. We started with pizza and over the last three years we have cracked the code on prepared food delivery. Now Zume is meeting the challenge of a rising global population with a revolutionary, end-to-end scalable platform that provides food companies with a cutting-edge, flexible system to cook en route and meet customer demand. Zume's patented Bake On The Way™ technology eliminates the need for chemically stabilized meals and 'dwell time'—time where cooked food sits en route for delivery. Unlike traditional food trucks and delivery vehicles, which cannot cook while moving, Zume optimizes the baking and delivery process to ensure every meal is delivered at peak freshness. Zume Food Delivery Vehicle are customizable, with standardized storage and production modules. The vehicles are connected to our proprietary automation and control systems which increase throughput and decrease waste. Zume has partnered with Welbilt to launch the second-generation of our Bake On The Way™ Food Delivery Vehicles equipped with hyper-efficient, tailored foodservice appliances. 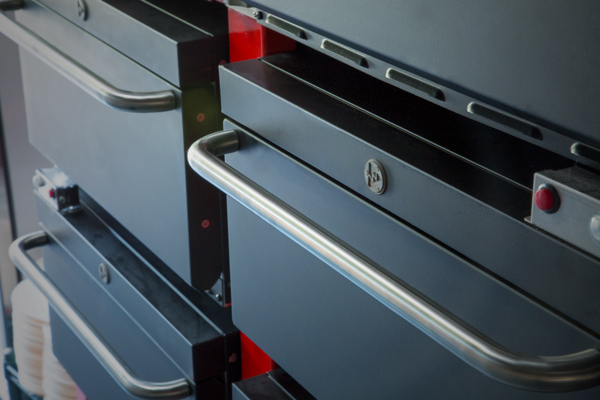 Welbilt is also creating future solutions that incorporate a significant portion of its portfolio of custom-built appliances into the vehicles. Zume has created patented automation and control systems for the next generation of cobot-enhanced, mobile-optimized commissaries. This allows partners to automate and optimize food production to save time, reduce repetitive labor, and produce consistently great food for customers. 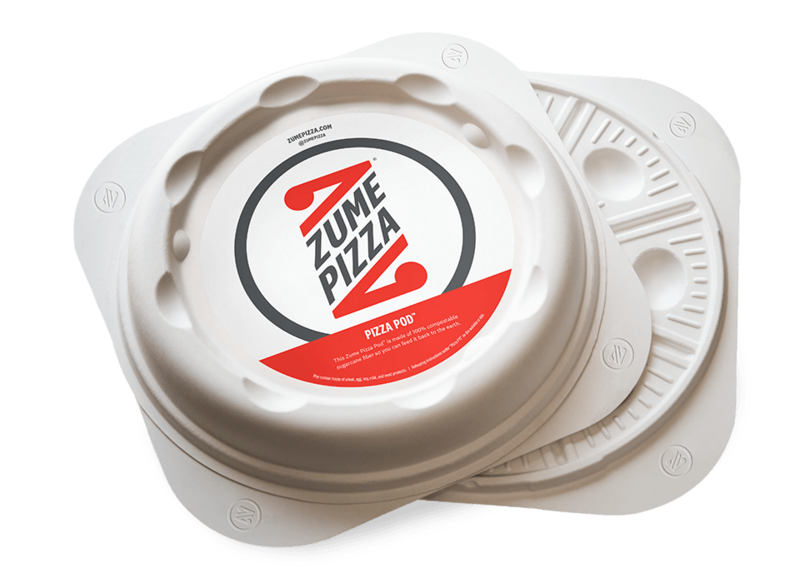 Zume's patented Pizza Pod™ is designed to keep food warmer, fresher, and tasting better than traditional cardboard food delivery boxes. It is made from 100% sustainably farmed sugar cane fiber and is 100% compostable, down to the label. un-modernizing pizza and modernizing delivery.